"Omega Delta Phi Day" in San Marcos, TX! 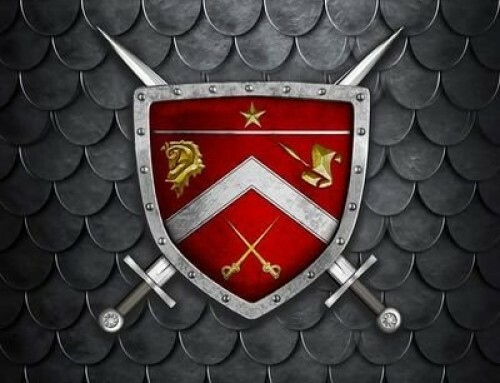 “Omega Delta Phi Day” in San Marcos, TX! 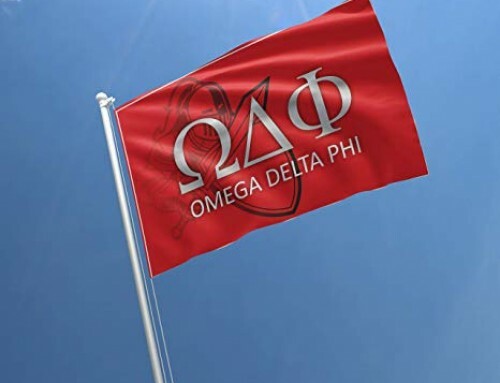 Thursday, October 27th 2011 the 4th Annual “Omega Delta Phi Day” was celebrated in San Marcos, TX by our Rho Chapter (Texas State University)! 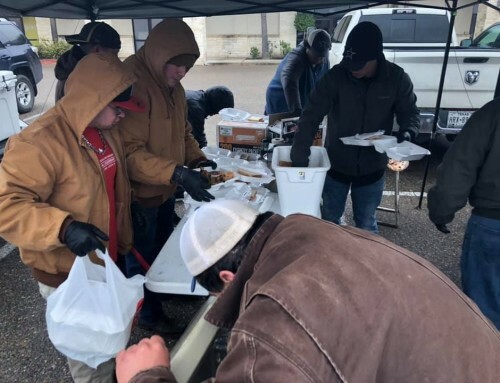 Brother Lopez explained briefly “Our fraternity hosts an annual Easter Egg Hunt for the city of San Marcos to say thanks to the community for all they do for the Texas State students. It is the second largest service event at Texas State University, right after Bobcat Build. On April 1st, 2012, the fraternity will be celebrating its 10th year of hosting the Easter Eggstravaganza,” Lopez said. 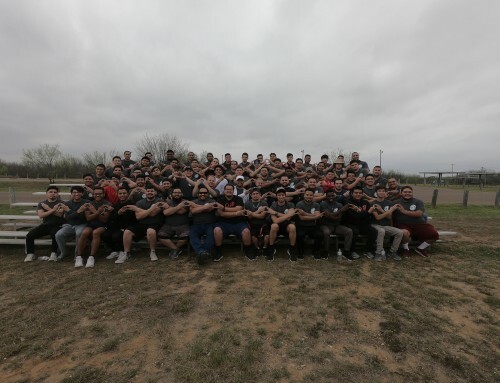 The article in the San Marcos Record went on to praise the brothers by saying “Omega Delta Phi has obtained honors such as most service hours per member in the Inter-fraternity Council, Chapter of the Year, Most Improved Chapter as well as athletic honors such as All University Intramural Football Champions, Intramural Football Greek League Champions, Omega Delta Phi National Football Champions, as well as Intramural Football Greek Co-Rec Champions. For celebrating Omega Delta Phi Day yesterday, the chapter participated in two community service events. One was at the Greater San Marcos Youth Center Halloween event with Sigma Delta Lambda Sorority, Inc. and Delta Sigma Theta Sorority, Inc. The second event that the Chapter participated in was at the Kids Against Drugs Halloween Carnival, which was hosted by Kappa Delta Chi Sorority, Inc. – Omicron Chapter. 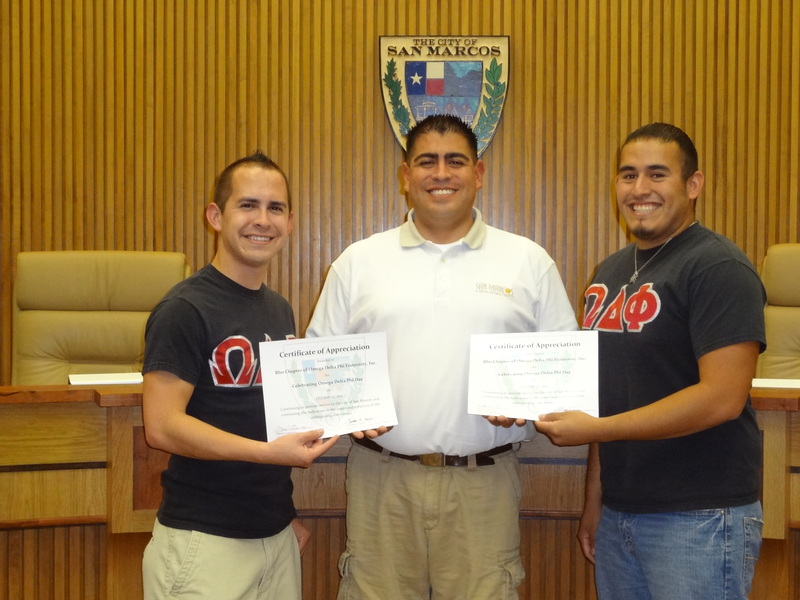 Omega Delta Phi – Rho Chapter was given its own day in San Marcos back in 2007 by former mayor Susan Narvaiz. The honor was bestowed upon the chapter by the previous Mayor and was continued on by the current Mayor Daniel Guerrero – and a founding Rho Chapter brother! 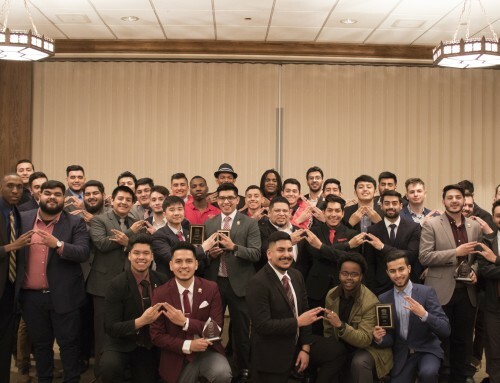 The strength of our community service, and continued brotherhood is illustrated here and throughout the ODPhi nation. Congratulations Brothers!